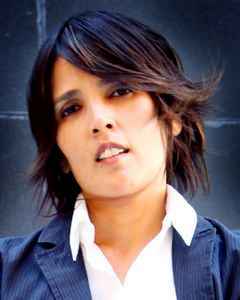 Tanita Tikaram (born 12. August 1969) is a singer-songwriter, known for her exotic, low voice. Tikaram, of Malaysian and Indo-Fijian ancenstry, was born in Germany but has since her early teens been based in the UK. Her debut album "Ancient Heart" was released when she was just 19. The album was a huge hit all over Europe, while the first two singles "Good Tradition" and "Twist In My Sobriety" got to Top 10. The follow-up album "The Sweet Keeper" used the recipe of the debut and was quite successful, but yielded no big hits. Tikaram stepped up as a co-producer on her third album "Everybody's Angel" and produced the fourth, "Eleven Kinds Of Loneliness", solely by herself. While both were solid works, they sold gradually less. Yet, on "Loneliness", Tikaram came on her own as artist. Tikaram started to spend more time abroad, finding collaborators in the USA, Italy and France. 1995's "Lovers in the City" is perhaps her most introspective work so far. On "The Cappuccino Songs" from 1998 Tikaram released some of her most accessible pop tracks so far. After spending several years under the radar, Tikaram returned in 2005 with the jazzy, low-key "Sentimental" album. Since then Tikaram found home with the German Ear Music label and has released two albums, the americana and Motown influenced "Can't Go Back" (2012) and "Closer To The People" (2016).